Fann Mountains (also known as the Fanns) are part of the western Pamir-Alay mountain system and are located in Tajikistan's Sughd Province between the Zarafshan Range to the north and the Gissar Range to the south, The Fanns boast about a hundred peaks, with several rising to altitudes of more than 5000 meters and relative elevations of up to 1500 meters. 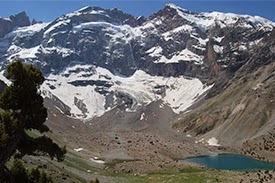 The highest point in Fann Mountains is Chimtarga peak, There are many lakes in the Fanns. The best known are Alaudin lakes in the Chapdara River valley, Kulikalon Lakes on the northern slope of Chimtarga peak, Allo Lake, and the most outstanding of all, Iskanderkul Lake. 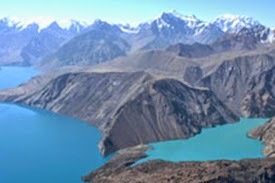 Sarez Lake is a lake in Rushon District of Gorno-Badakhshan province, Tajikistan. Length about 55.8 km, depth few hundred meters, water surface elevation about 3,263 m over sea level and volume of water is more than 16 km³. 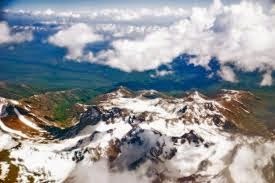 The mountains around come up more than 2,416 m over the lake level. Muztagh Ata, or Muztagata "ice-mountain-father"; is the second highest (7509 metres)of the mountains which form the northern edge of the Tibetan Plateau, The mountain is located in an interesting part of the world, close to the old Silk Road and the beauty of nature is stunning. 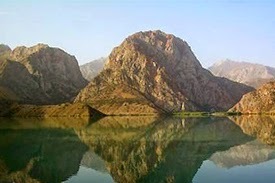 The Nurek Dam is an earth fill embankment dam on the Vakhsh River in the central Asian nation of Tajikistan. 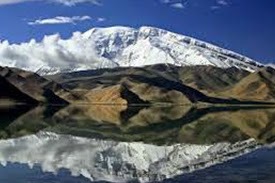 Construction of the dam began in 1961 and was completed in 1980, when Tajikistan was still a republic within the Soviet Union, Nurek Dam, one of the world’s highest dams. 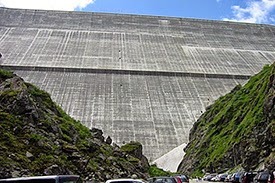 The dam is 2,309 feet (704 m) wide at its crest. The nine-unit power plant associated with the dam has a design capacity of 2,700 megawatts of electricity, and the water impounded is used to irrigate some 1,600,000 acres (650,000 hectares) of farmland.